Improper dental hygiene. Inadequate brushing, flossing, and rinsing with an antiseptic mouthwash to remove plaque and stain-producing substances like coffee and tobacco can cause tooth discoloration. Tobacco. Smoking or chewing tobacco can stain teeth. This is just one of many reasons to quit smoking! Medications. The antibiotics doxycycline are known to discolor teeth when given to children whose teeth are still developing (before age 8). Mouth rinses and washes containing chlorhexidine and cetylpyridinium chloride can also stain teeth. Antihistamines (like Benadryl), antipsychotic drugs, and drugs for high blood pressure also cause teeth discoloration. Diseases that affect enamel (the hard surface of the teeth) and dentin (the underlying material under enamel) can lead to tooth discoloration. Treatments for certain conditions, including head and neck radiation and chemotherapy, can also cause teeth discoloration. Previous dental work. Some of the materials used in dentistry, such as amalgam restorations, especially silver sulfide-containing materials, can cast a gray-black color to teeth. Some people have naturally brighter or thicker enamel than others. As you age, the outer layer of enamel on your teeth gets worn away, revealing the natural yellow color of dentin. Environment. Excessive fluoride can cause teeth discoloration. For example, damage from a fall can disturb enamel formation in young children whose teeth are still developing. Trauma can also cause discoloration to adult teeth. 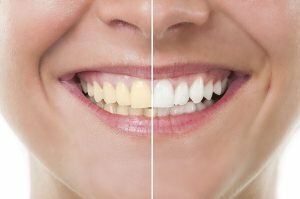 If you have yellow or yellowing teeth from any of these causes, or others, the important thing is what you can do about it. The good news is that Alex Bratic Dental Care offers you treatment options. Brushing, flossing, eating well, and regular checkups should be your go-to defenses against yellow teeth. Thoroughly brushing your teeth twice a day to prevent yellow surface stains is a must. Floss your teeth once a day, as well. To tackle, visit Alex Bratic Dental where we can gently clean away unsightly bacteria and tartar and polish your teeth while you are in the dental chair. When it comes to stains on the enamel, however, prevention is better than the cure. Don’t smoke, and limit your consumption of foods and drinks that cause yellowing themselves. When done eating these kinds of foods, immediately rinse out your mouth with water. Some practices use the rapid one-hour in-surgery application of bleach, which is activated by a laser or curing light. This method can cause increased sensitivity and a lot of the initial whiteness is caused by dehydration of the teeth. This method is the harsher, more aggressive process. Alex Bratic only uses the gentler, supervised take home kit approach. We construct custom trays, record current tooth colour and give instructions for how to whiten the teeth. You take the trays and whitening agent home to use over a 10-day period. We then review the result. Teeth whitening is a non-invasive and generally safe procedure; thus, it’s suitable for a wide range of patients. If your teeth suffer from mild to moderate discolouration, then you are a good candidate for this cosmetic dental treatment. However, the best way to determine this is by consulting your Beenleigh dentist at Alex Bratic Dental Care. Discover how our take home kit approach helps you achieve a sparkling smile that’s safe and long-lasting. 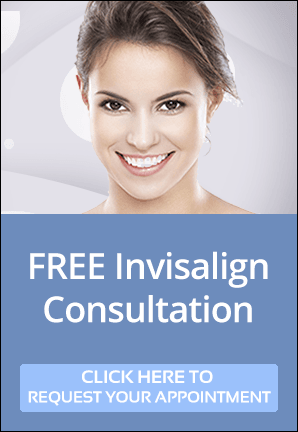 Call us on (07) 3287 2627 or book your appointment online to schedule your teeth whitening consultation in Beenleigh.